Don't miss out on the rest of Father Tim's adventures in Mitford. Why doesn't audible have the full story read by John McDonough? I forced myself through this and almost quit often. If my eyes didn't bother me I would've skipped it and read the actual book. The music was irritating and the reader just didn't do the characters well. Ruined story in the middle of this series. Please bring back the whole book, read by John McDonough. 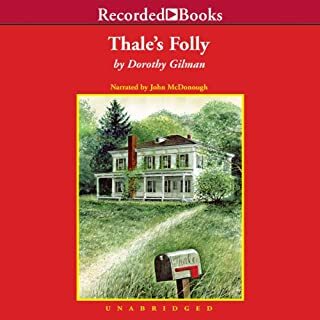 I absolutely love this series, but this book not being narrated by John McDonough and I really don't like it being abridged .... was hard for me to get through. Looking forward to the next book. I wanted the full unabridged version read by John McDonough, like the other books in the series I had bought. This version is abridged and leaves out important elements of the story that make it make sense. It is read by the author and very hard to listen to. I really hope Audible gets the unabridged, John McDonough version. 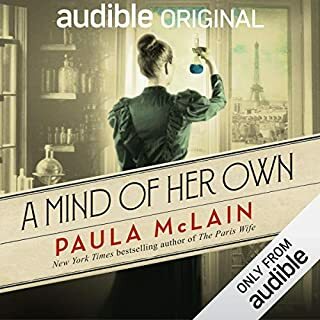 Not sure why they abridged this book and after 3 books of listening to the same male reader switched to a female voice, regardless of it being the author. She does a good job, but after 3 books you get used to a male voice and the character's voices. 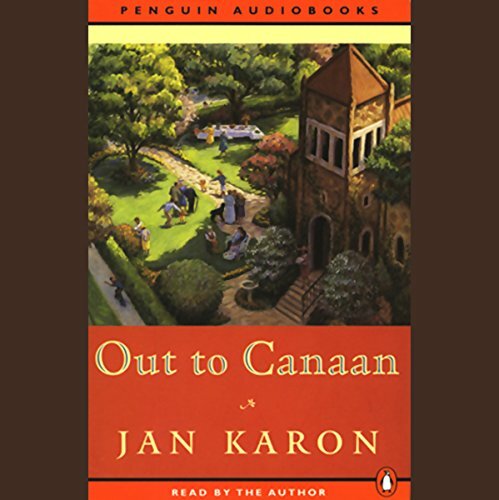 I LOVE Jan Karon providing the narration of this book! My only grumble is how horribly abridged it is. It's missing like 90% of the story -- what a disappointment. Another great story the only thing that would improve. it would be if it were the unabrdged version. This is a very good story but it is ABRIDGED - cannot find the unabridged by the author for this title. Also miss the reader John McDonough, as this is read by the author it is good but Mr. Mcdonough has done all of the previous ones and he is a GREAT reader. Anyway, the book itself is great, Dooley's character is fun and he is developing into a young man, while Edith is becoming a huge problem. What fun to listen to the beauty of this small town. I love the continuing story of Father Tim, Cynthia and the fine folks of Mitford. While it was lovely to hear the author read her own work, I missed the fine baritone of John McDonough whose voice transports me right into Mitford instead of hearing a story read. As always. I loved this book. 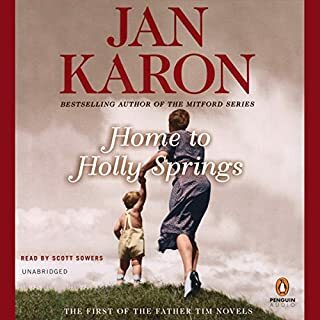 Jan Karon has a way of keeping me interested. I love every character. When they hurt. I hurt with them. When they laugh I do too. So enjoyable. What disappointed you about Out to Canaan? I didn't realize until it was too late that this was the ABRIDGED version. Now I see others have complained and apparently it was my only choice. HARD to follow it was so abrupt and, sadly, the author's version was NOT a good reading at all. 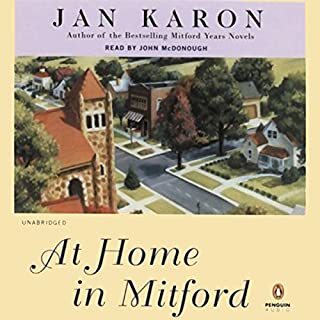 What was most disappointing about Jan Karon’s story? 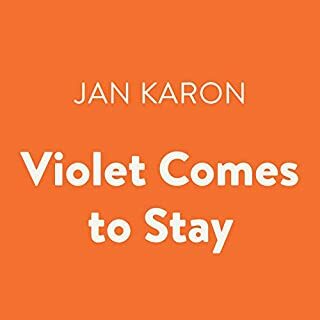 Would you be willing to try another one of Jan Karon’s performances?